Disclaimers: You must already have an active AMP setup in order for this to work. That involves installing at least one other plugin (not provided by Mediavine). We cannot provide support on this part of the process. It can be very technical and if issues arise they may require a professional to diagnose and fix. In the first section, you'll need to grab your Mediavine Site Id and paste it into the first field. 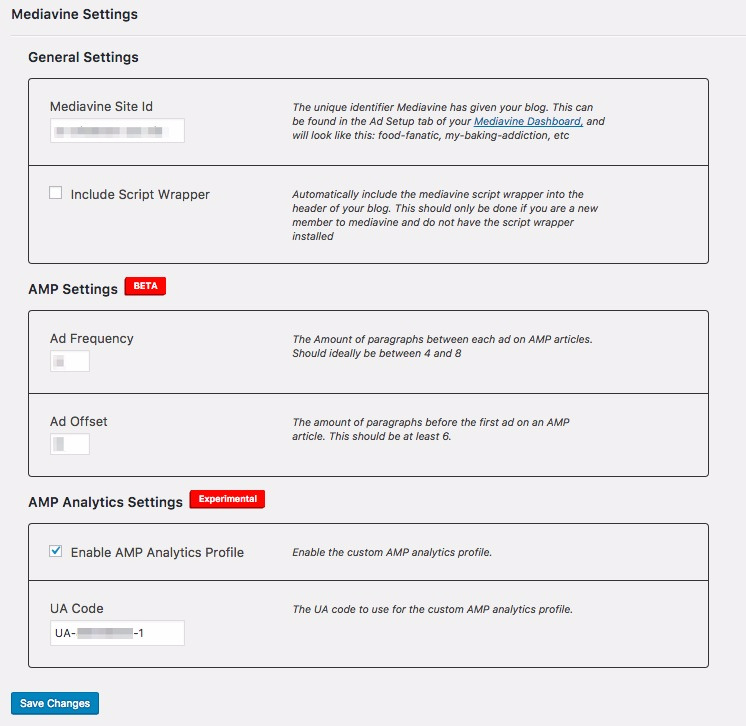 You can find that in your Mediavine Dashboard Settings ---> Ad Setup menu. Copy that site ID and paste it into this section of the plugin Settings. 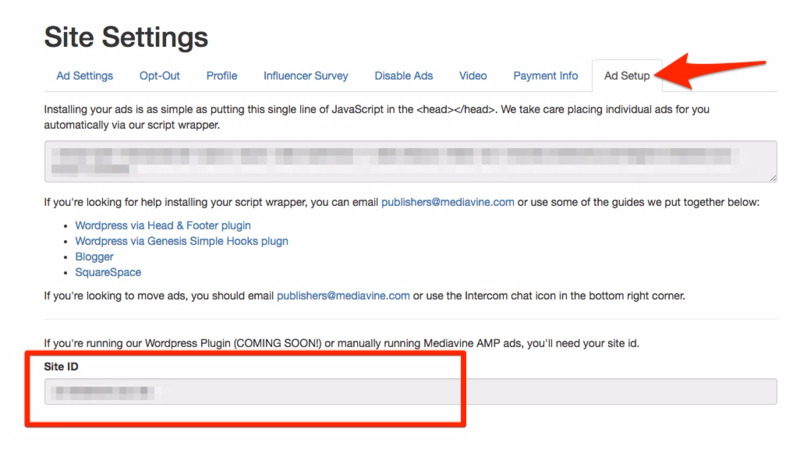 This is going to insert your unique site ID into the code so we'll be able to run ads in your AMP posts. Next you'll need to choose your Ad Frequence and Ad Offset settings. Ad frequency is going to control how many paragraphs will appear between each AMP ad. We recommend this be kept between 4 & 8. Ad Offset is is number of paragraphs before you'll see the FIRST AMP ad appear. It needs to be a minimum of 6 to stay in compliance with ad regulations. The third and final section is your analytics section. Enter the UA-code that you use to track your site's traffic. If you aren't sure where to find this number you can just log in to Google analytics and click on the name of your property in the top left corner. Once you've entered your UA-number, scroll down and save your changes.